Our Lavender Room has a double bed and shower room. 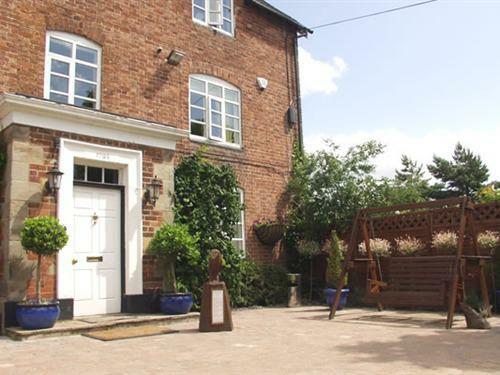 It is situated at the back of the house and overlooks the farm Court Yard. All the bedrooms, except the Peppermint Room are spacious. They are all furnished to a very high standard and the rooms are all called after Aromatherapy oils, as Eunice is a trained Aromatherapist. 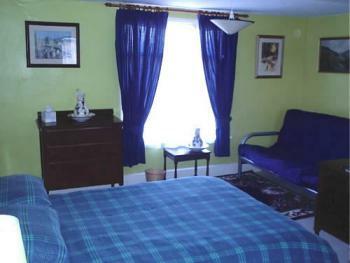 The colour schemes and themes run through the rooms and where possible appropriate duvets and pictures have been used. Flat screen TVs, DVDs and freeview boxes are in each room and there is a video player which can be used on request. If you have any problems with your television please do not hesitate to ask for help, Richard is the expert!! There is a selection of dvd’s and videos down the long corridor on the landing. 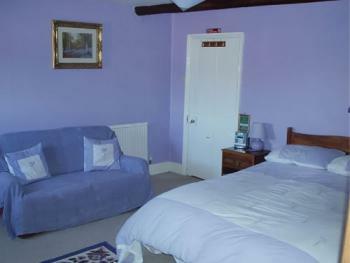 The Lavender Room (13.6ftx22ft)has a double bed (20inches high), a sofa and en suite shower. The room has an adjoining door to the Eucalyptus Room which is accessed by a small step (3.5inches). The room is accessed from the landing. 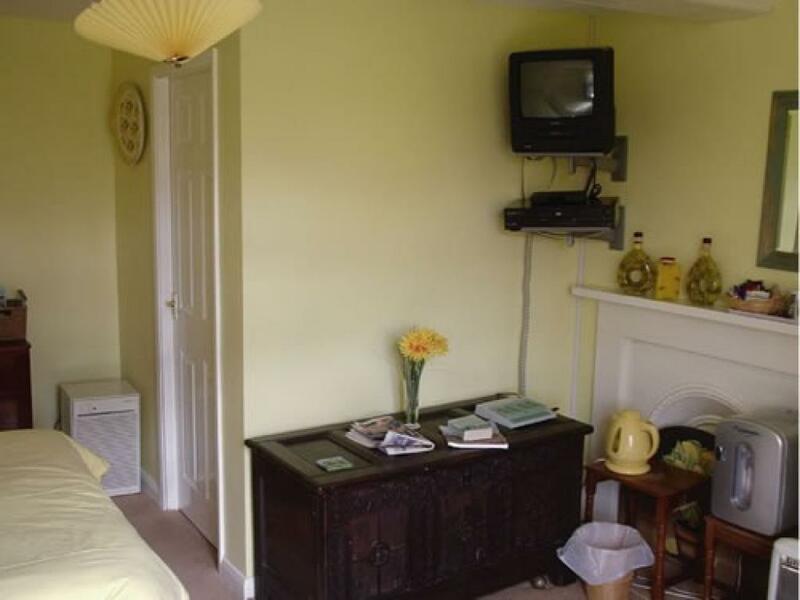 The Lemon Room has two double beds and an en suite shower and can be used as a family room or twin room. All the bedrooms, except the Peppermint Room are spacious. 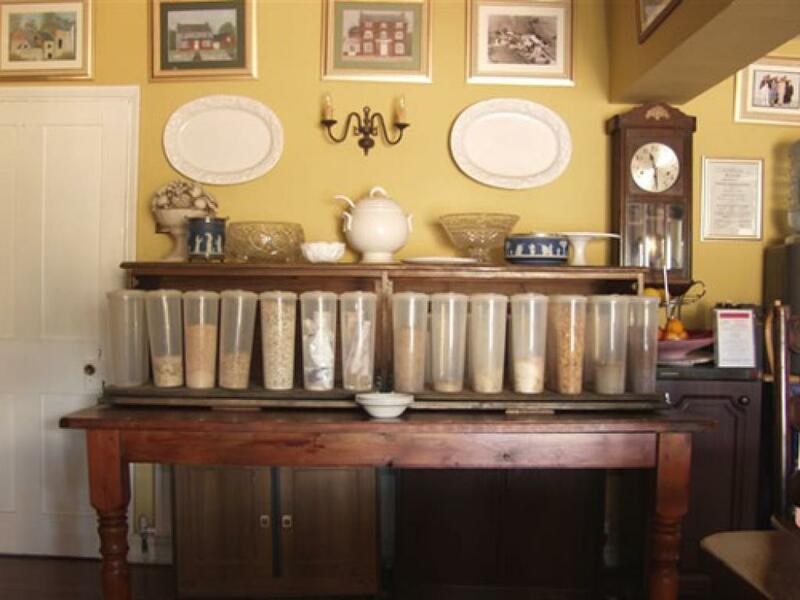 They are all furnished to a very high standard and the rooms are all called after Aromatherapy oils, as Eunice is a trained Aromatherapist. The colour schemes and themes run through the rooms and where possible appropriate duvets and pictures have been used. Flat screen TVs, DVDs and freeview boxes are in each room and there is a video player which can be used on request. If you have any problems with your television please do not hesitate to ask for help, Richard is the expert!! There is a selection of dvd’s and videos down the long corridor on the landing. 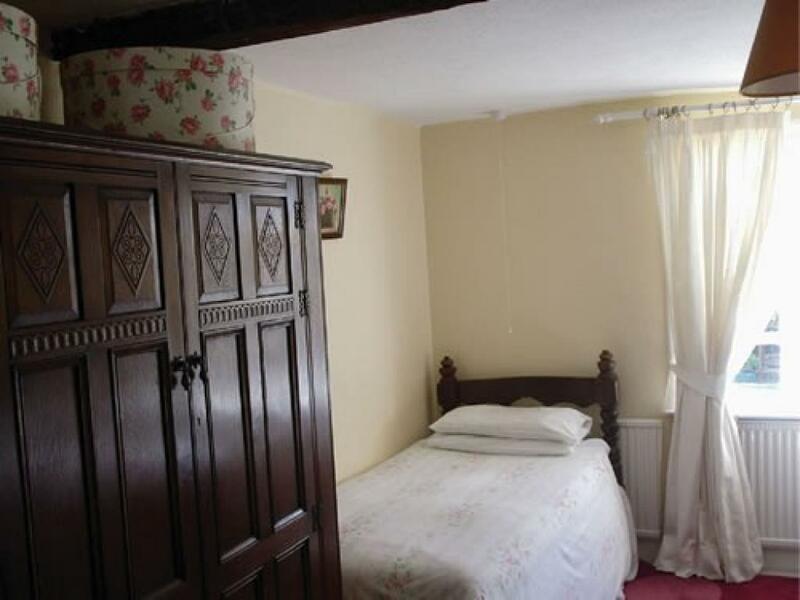 The Lemon Room (15ftx16ft) has two double beds (both 22inches high), a sofa, an en suite shower and can be used as a family room or twin room, it is accessed from the landing. The Rose Room has a double and a single bed and en suite shower. All the bedrooms, except the Peppermint Room are spacious. They are all furnished to a very high standard and the rooms are all called after Aromatherapy oils, as Eunice is a trained Aromatherapist. The colour schemes and themes run through the rooms and where possible appropriate duvets and pictures have been used. Flat screen TVs, DVDs and freeview boxes are in each room and there is a video player which can be used on request. If you have any problems with your television please do not hesitate to ask for help, Richard is the expert!! There is a selection of dvd’s and videos down the long corridor on the landing. The Rose Room (16ftx13ft) has a double (22inches high) & a single bed (24inches), a chair, en suite shower and is accessed from the landing. The Eucalyptus Room is a family room with a double bed and bed settee and en suite bath and shower. 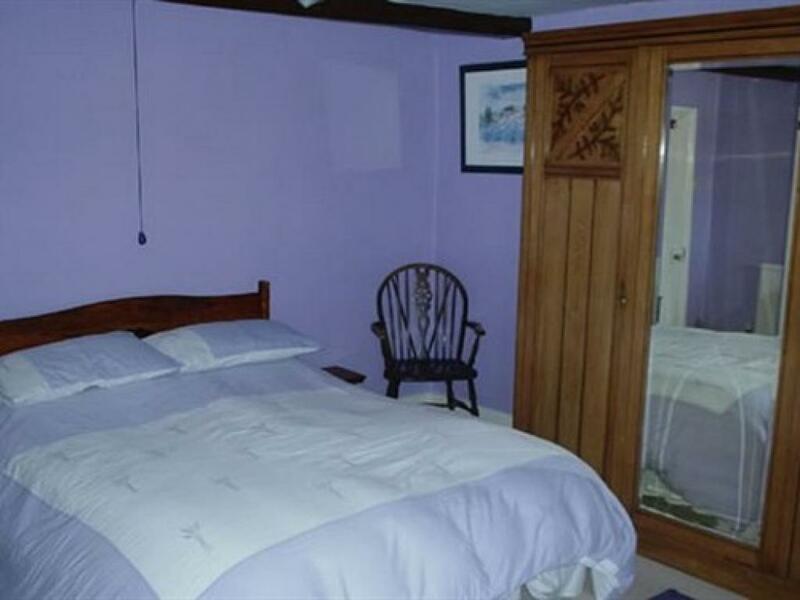 The room has an adjoining door to the Lavender Room if required for a family. All the bedrooms, except the Peppermint Room are spacious. 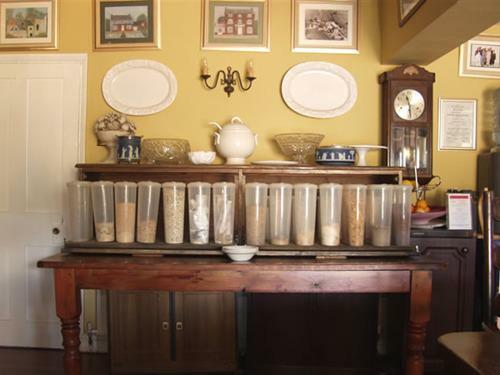 They are all furnished to a very high standard and the rooms are all called after Aromatherapy oils, as Eunice is a trained Aromatherapist. 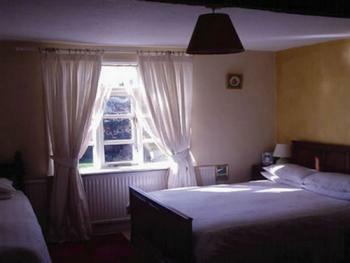 The colour schemes and themes run through the rooms and where possible appropriate duvets and pictures have been used. Flat screen TVs, DVDs and freeview boxes are in each room and there is a video player which can be used on request. If you have any problems with your television please do not hesitate to ask for help, Richard is the expert!! There is a selection of dvd’s and videos down the long corridor on the landing. 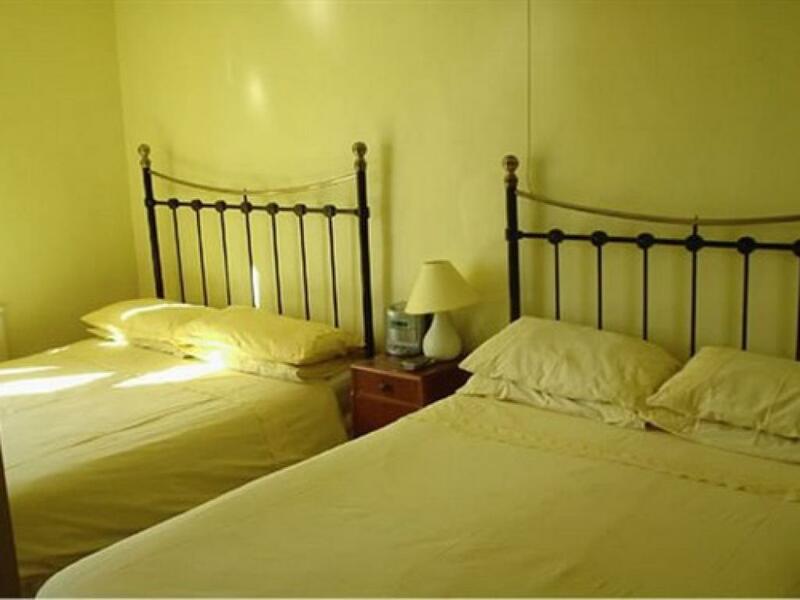 The Eucalyptus Room (16ftx14ft) is a family room with a double bed (24inches high) & bed settee(18inches),with an en suite bath/shower facilities. The room has an adjoining door to the Lavender Room with a small step. The room is accessed from the landing with a small step(4.5 inches) into the bedroom. The Peppermint Room is our only single room with an en suite shower. 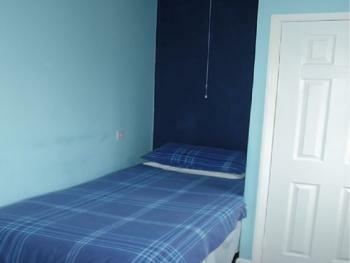 This room is ideal for the single traveller or another member of the family. All the bedrooms, except the Peppermint Room are spacious. They are all furnished to a very high standard and the rooms are all called after Aromatherapy oils, as Eunice is a trained Aromatherapist. 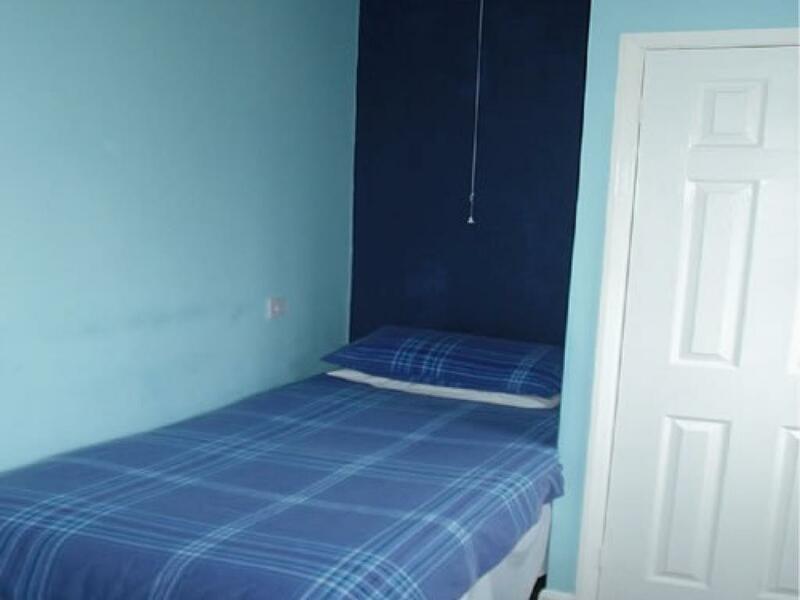 The colour schemes and themes run through the rooms and where possible appropriate duvets and pictures have been used. Flat screen TVs, DVDs and freeview boxes are in each room and there is a video player which can be used on request. If you have any problems with your television please do not hesitate to ask for help, Richard is the expert!! There is a selection of dvd’s and videos down the long corridor on the landing. The Peppermint Room(12ftx8ft) has single bed(24inches) room with an en suite shower and chair. The room is accessed from the long landing. There is a step down in the hallway leading to this room. 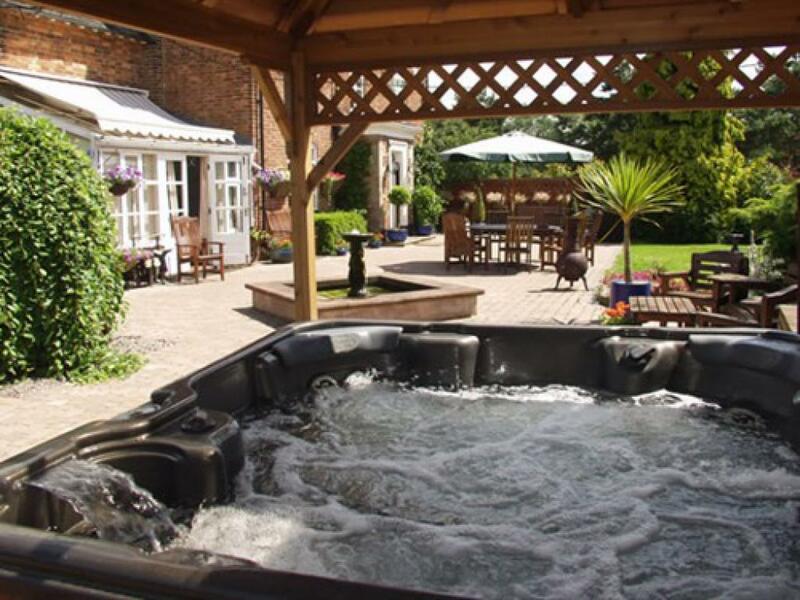 Amerton Farm is situated in superb Staffordshire countryside and is easy to access by road and rail. 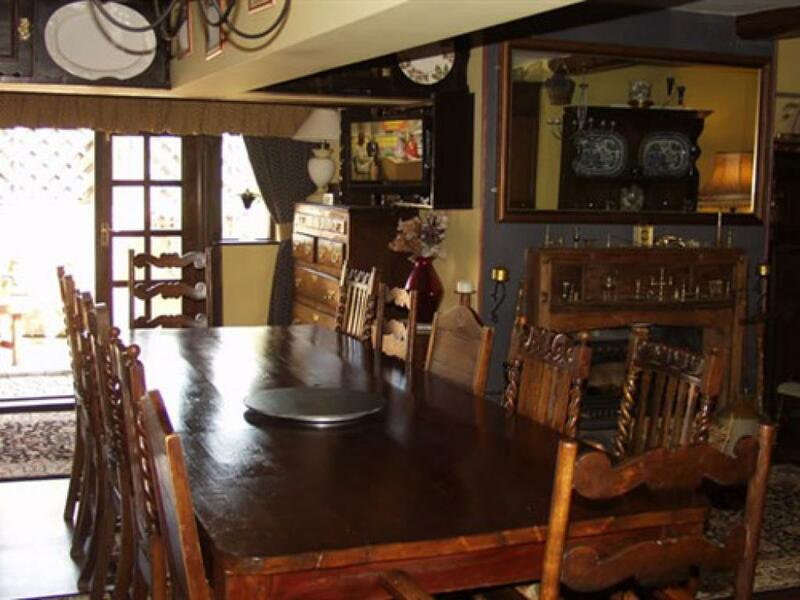 Amerton Farmhouse dates from 1793, has log fires, oak beams and offers a friendly and comfortable family atmosphere for Bed & Breakfast. There is a guest lounge and dining room situated on the ground floor and the first floor of the house is used totally for Bed & Breakfast visitors. The third floor of the house is private and provides bedrooms for the family; we also have a separate private sitting room on the ground floor. We have a spacious garden, ample car parking space and free wifi, just ask for the code on arrival. 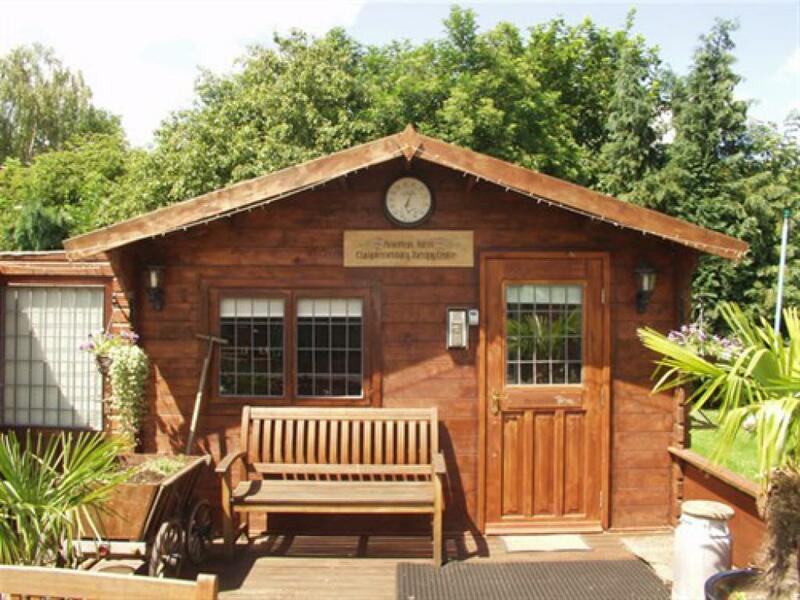 There is a Complementary Therapy Centre at the Farmhouse, which is run by Eunice, who uses Essential Oils, Aromatherapy Massage, Reflexology & Manipulation to aid the wellbeing of her clients. Eunice specialises in neck & back problems. She also provides a range of essential oils for use during pregnancy and labour. Check out our website: www.eunicefinney.co.uk Amerton is an ideal base to visit Alton Towers, Drayton Manor Park, Wedgwood, the Potteries, Staffordshire County Showground, Uttoxeter Racecourse, Sandon Hall, Weston Hall, Shugborough, Lichfield, Cannock Chase, Trentham Gardens, Monkey Forest and other places of interest.